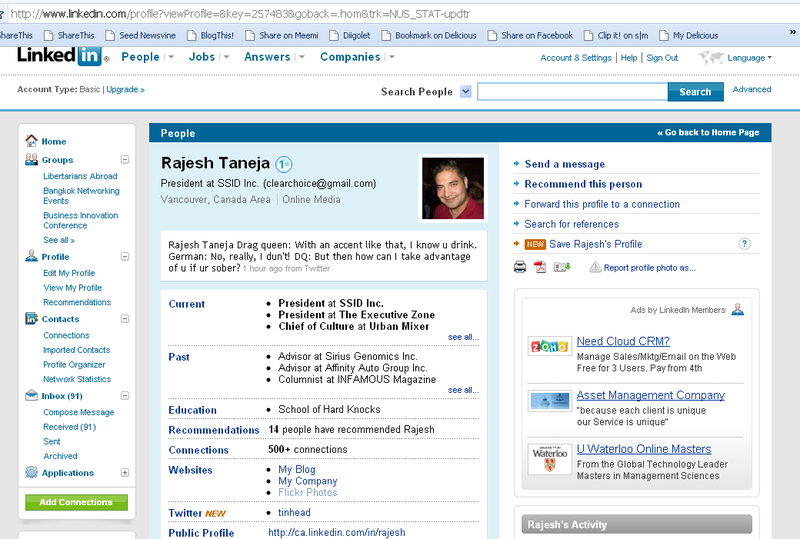 Why you should be careful with your LinkedIn status! I just saw this today. I can’t believe that someone would have this status updated on LinkedIn then I noted that is if from their Twitter status. The guy is using one for business and other for personal but it is inappropriate content for business, wouldn’t you say?